Inspired by sun-drenched destinations, Sunlit Bronzer is like a day at the beach without ever having to step foot in the sand. Each beach-inspired bronzer features our iconic creamy powder in a dimensional matte with a kiss of glow. 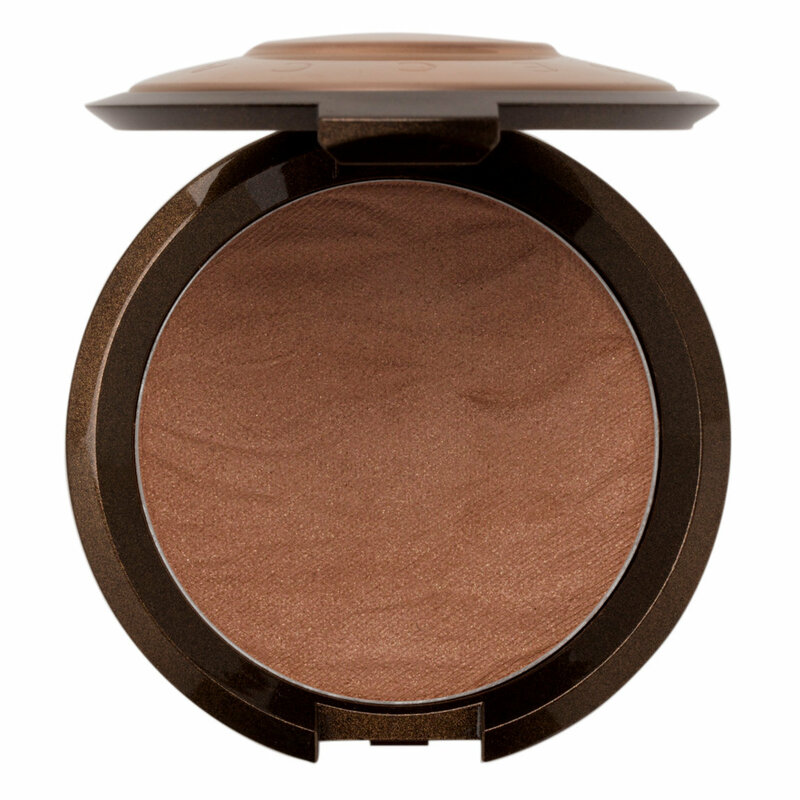 With a shade for every skin tone, this neutral bronzer creates a healthy, natural warmth so skin looks sun-kissed, never orange. The powder’s silky texture lets you customize your glow—go from a hint of light to just-stepped-off-the-beach bronze. Sweep across the face where the sun would naturally kiss the skin, or apply below the cheekbones, to the bridge of the nose and around the borders of the face. I am a super pale gal and even when buying this after seeing some youtube swatches I was concerned it may read orange like so many bronzers before it but nope this is a gorgeous colour and perfect for my neutral toned pale skin. I would totally recommend it. I find this to be quite patchy, but the shade is beautiful. Up close you see gold flecks but that doesn't show up. It blends alright, i still prefer my Phsycians Formula Butter Bronzer. Hands down, this will be the go-to bronzer. I never step out of my home without this. It complements my complexion perfectly. The powder is well-milled. So it diffuses with the skin tone easily and reflects a beautiful bronzed shimmer. I love Bronzed Bondi by Becca! The best bronzer I have ever used! A million stars for it! This glides like a dream. Beautiful bronzer. Doesn't look glittery either; gives a beautiful summer glow. I love the beach waves printed on this bronzer its very pretty. Once applied gives a nice natural glow to the face and does not look orange at all. The blend ability is amazing. Love this product and the color is perfect. Perfect sun kissed look. My favorite bronzer right now. The powder is smooth and applies well. I also like the hint of shimmer which gives it a satin finish. The Bronzed Bondi color looks good with my NC30 skin tone. Never thought I needed a bronzer, yet I love this! I have medium skin with olive undertone so bronzer has never been in my makeup routine as I thought I just didn't need "help" with warming up my face. I tried this out in a mini kit and I've been loving it since. I love the luminosity and it's a wonderful eyeshadow for a minimum makeup day. Goes perfectly with my skin tone. LOVE.